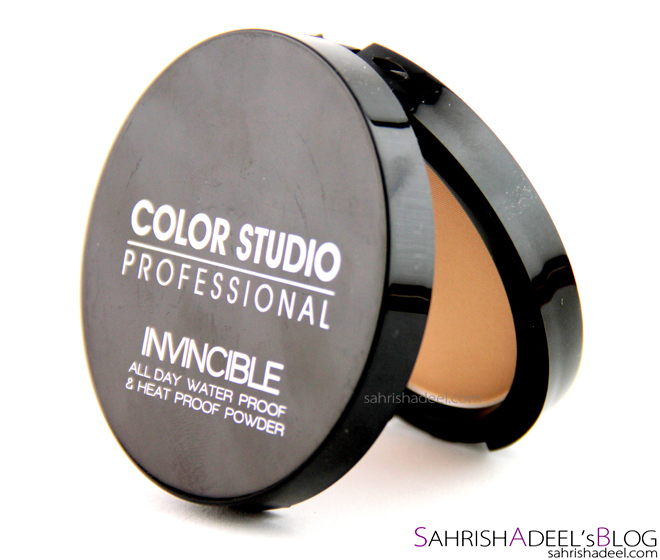 Color Studio Pro Invincible All Day Water Proof and Heat Proof Powder - Review & Swatches | Sahrish Adeel - Malaysia based Pakistani Beauty & Lifestyle Blogger! With summers approaching in most countries and having a humid and hot weather in Malaysia throughout the year, a heat and water proof finishing powder is definitely a must have to keep the makeup in place and to stay shine free. 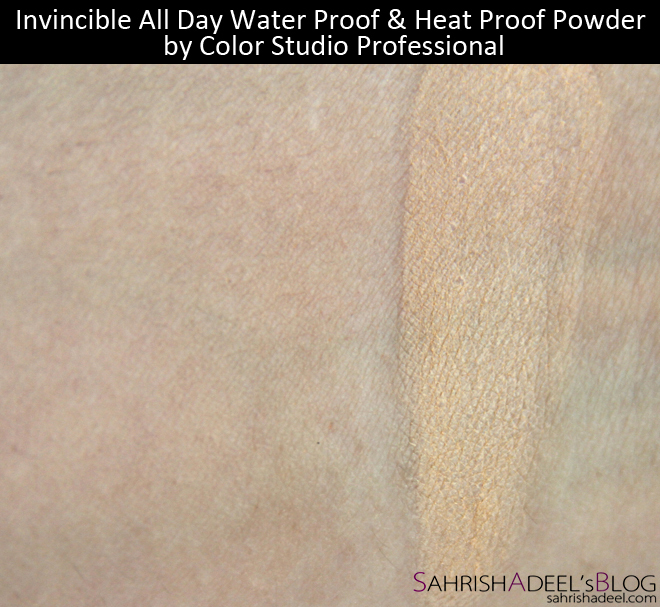 Today I have a new product by Color Studio Pro that claims to be All Day Water & Heat Proof. Let's find out if it worked for me or not. An infallible waterproof powder with the plus of being water - repellent, humidity resistant, perfect under the sun and during physical activity. The delicate and velvety formulation takes care of the skin guaranteeing an exceptional anti - aging and anti - oxidant action. The product comes in a really sturdy plastic packaging and the lid opens with a click. It has a good sized mirror and a puff. It contains 9.5g of product. 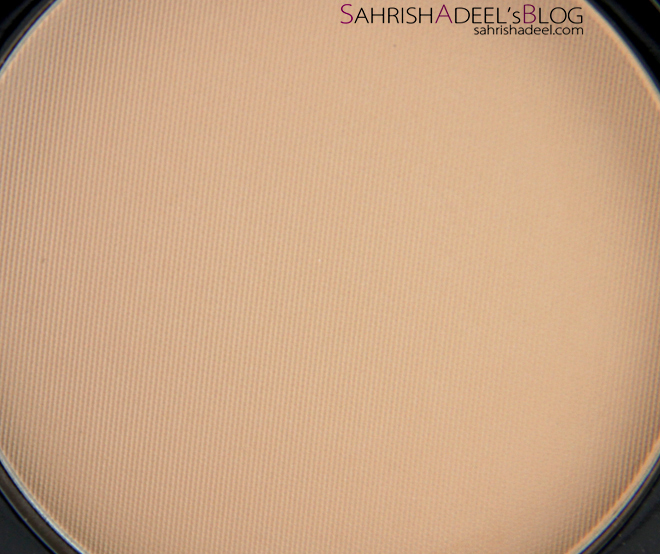 It comes in four shades and the shade I am reviewing today is Beige which is suitable for medium to wheat-ish skin tones. These swatches has been taken without any base/primer underneath. Left one is blended and right one is to show the undertone of the powder. Before I start the review, I would like you to know that I have a combination to oily skin and my T-zone is pretty oily, also the weather here in Malaysia stays hot and humid throughout the year. I have been using Color Studio Pro's Pro Luminous Foundation & HD Stick Foundation lately, by mixing those together but to keep my foundation stay in place I have to use a finishing powder especially on my T-zone. Let's see how this Invincible Compact Powder worked for me. 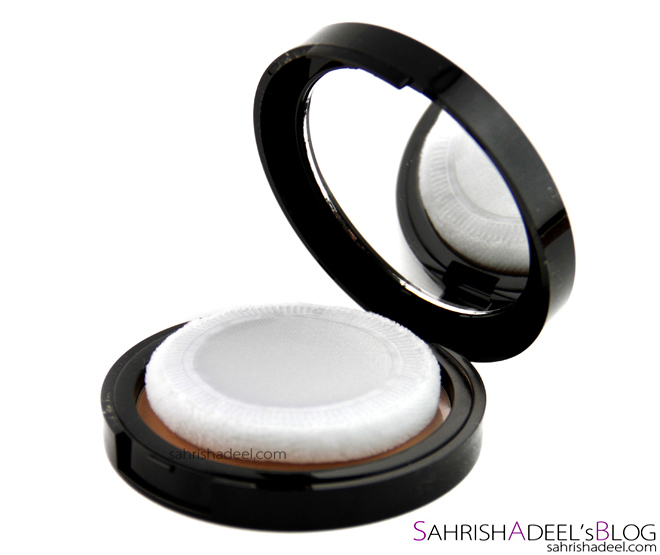 I loved the packaging as it is quite sturdy and has a mirror in it which is really good to throw in the purse plus since it a pressed powder, there is no way it is going to make a mess that loose powders usually do. The puff is also pretty good and really packs the product into the skin. Application is quite easy and I personally have a few different ways to use it according to my makeup routine. To use it alone, I packs the product with the puff all over my face and neck and then I take a big fluffy powder brush to buff everything and remove access product. 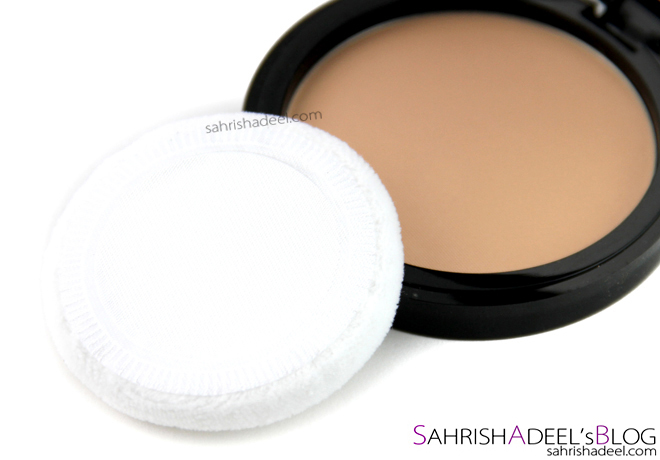 It gives me a sheer coverage because the powder is not translucent and has some color. I love this method for everyday routine when I don't want to use any other product on my face. To use in on top of a liquid/stick foundation, I take the product on the fluffy brush and lightly set my foundation focusing on the T-zone. This does not give me extra coverage and I use it when I only want to set the foundation and not to look cakey. This works for me when I am attending a casual party/dinner. To use it on top of a liquid/stick foundation, to achieve full coverage I pack the product with the puff all over my face and neck and then buff it with a big fluffy brush. This blends everything, removes the access product and give me extra coverage. This makes me look a bit cakey at times when my skin is trying to act dry but then a mist comes really handy. It gives a matte and silky finish and for me that matte finish stays the same for about 7-9 hours except for my nose and chin. I noticed shine on my nose and chin in about three hours during the time when I was running some errands in a bit of hot but humid weather so I have to retouch that area again. However, I did not notice any shine on my forehead and under my eyes, which usually gets pretty shiny during the day, thumbs up. And my whole T-zone stays matte for good four hours if I stay inside the house in normal temperature. As for the problem with my nose and chin, it has always been there so if I am running errands in this weather, I cannot complain about the product I am using. I usually get oily on my T-zone in about one hour, bad & makes me sad. It is water resistant so it does not run down the face or crack at all when you sweat. It also does not go into fine line under the eyes with is another plus point. It evens out the skin tone pretty nicely. No, it does not removes the redness, broken capillaries spots, dark circles completely but it evens it all out in a way that you have sheer coverage with matte finish just like you get a sheer coverage with a tinted moisturizer but with a dewy finish. And being called a heat proof product, I can say that it is extremely light on the skin and it does keep the heat away from the face a bit but it is not like you are standing under the sun and feeling cool breeze on your face. It is more like that you don't feel that you have a layer on your face. It enhances the dry patches on the face so do moisturize your dry patchy areas before you apply this powder. I have been having dry patch problem (even with the oily skin), in the middle of my forehead, sides of the nose and under my eyes. Don't know the reason yet but I do have to moisturize those areas before I put any product on my face, especially cream and powder products. 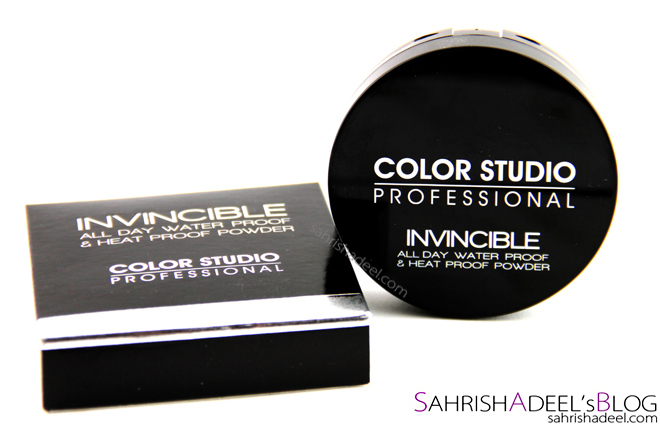 The packaging, quantity and quality of the product has a good value for money but I actually except more economical products by Color Studio Pro. May be they can launch a refill or a smaller packaging, which would cost less. But yeah, 9.6g of product for this price is a pretty good deal and you get a sturdy casing with a mirror which can be used after you run out of product or when it expires. Also, the company should expand the shade range. 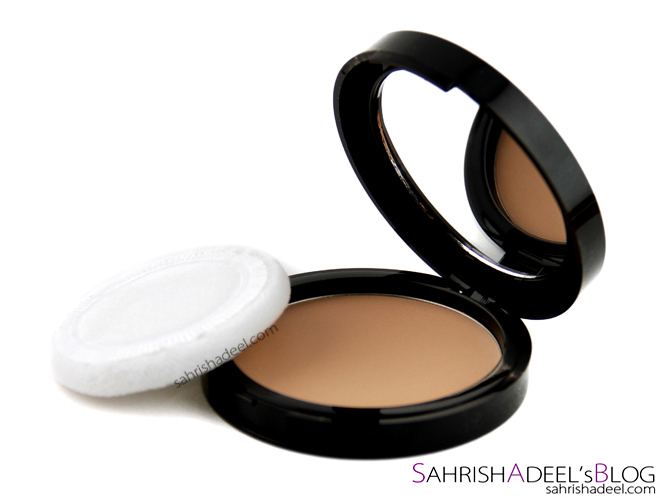 Overall, I am loving this compact powder for all of its qualities and the fact that it does what it claims to do has made me use it more often. Fine and really light formula. Glides onto the skin really smoothy. Keeps my whole face matte for 7-9 hours except for my T-zone. Can be used alone or over a foundation. Covers up redness, broken capillaries, dark circles lightly. Does not look cakey if applied according to the skin requirement. Sweating can't harm this powder. Comes off easily with a face wash or a cleanser. Travel friendly since it does not create any mess. Sturdy packaging with a mirror and a puff. Might be expensive for some people comparing other products from the same brand. Can enhance dry patches on the skin. Might not be suitable for dry skin types. 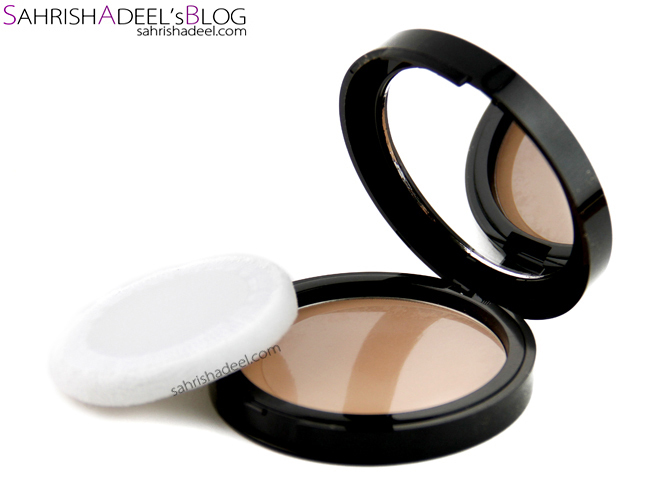 This compact powder costs PKR 1250 and can be purchased from Just4Girls.pk, they deliver all across Pakistan. 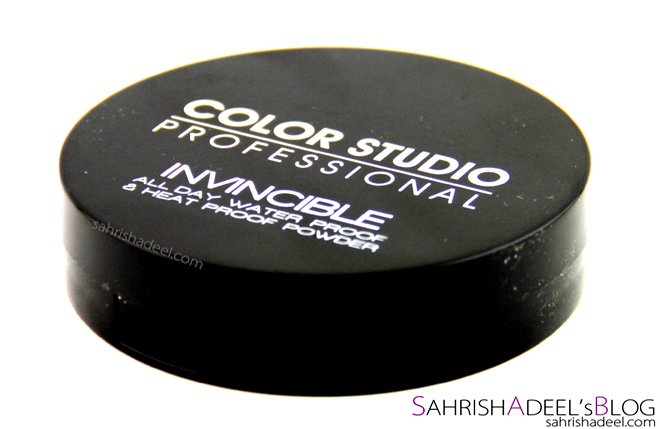 Color Studio Pro products are also available all across Pakistan. Check out Color Studio Pro's Facebook page for more updates. Have you tried this compact yet? Share your experience with me. 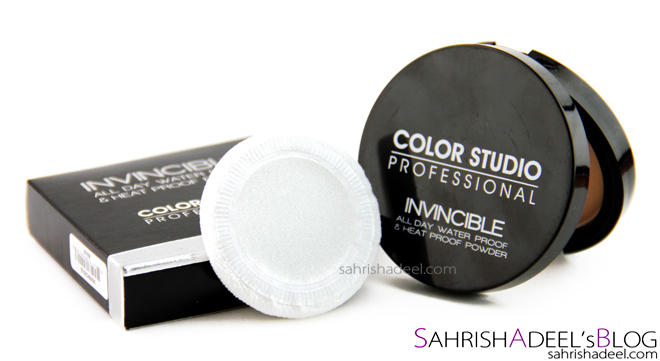 More reviews on Face Powders..
More reviews on Color Studio Pro's products.